Companies are increasingly investing in virtualization to save money, improve utilization, and increase service levels to the business. 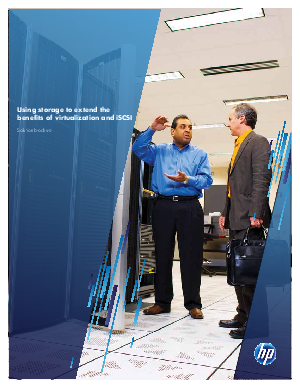 By leveraging this opportunity, companies can extend these benefits to their storage architecture as well. HP has optimized primary and backup storage solutions to align with virtualization requirements to help companies capitalize on their investment.